Have you ever heard of the Entertainment Book? If not, don’t worry! This review will tell you everything that you need to know about it. The Entertainment Book is a discount book that helps you save money on all of your entertainment purchases. Think of the Entertainment Book as a giant coupon book. There are over 150 different Entertainment Books published annually that offer discounts on local goods and services. 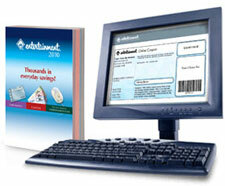 The Entertainment Book can also be used for online shopping and at national chains throughout the United States. The Entertainment Book can save you on just about any purchase that you make. Entertainment Publications was started by Hughes and Sheila Potiker in 1962 as a coupon book offering discounts on local products in the Detroit area. The company has expanded its offerings over the past 48 years and entered into 150 major markets. Entertainment Publications now offers discounts at over 60,000 different merchants. MH Equity Investors acquired Entertainment Publications in 2008. The Entertainment Book is the 50% off discount coupon book which saves you money on just about any purchase. It’s pretty impressive and covers an eclectic mix of potential purchases detailed below. Every book purchase gives you access to Entertainment.com where you can print coupons. Use online printable coupons to obtain additional discounts and offers for online shopping. Every book comes with a membership card. The membership card can be carried with you and used to save money while dining out at restaurants and for discounts on traveling. The membership card offers similar convenience and features as a AAA Card. Attractions: The Entertainment Book will save you money on local attractions, sporting events, special events and live events. This includes movies, museum visits, amusement parks, bowling, golf, skating, rock climbing, cruises and theatre productions. Savings can range from free admission to a few dollars off regular pricing. Car Care: Discounts apply for automotive services such as oil changes, car washes, repair services, and general automotive services. The Entertainment Book can be used to lower your bill on your brake and muffler service as well. The coupon book can be used at national chain franchises such as Jiffy Lube, Mr. Tire, and Midas. Dining: Fast food, casual dining, and fine dining are all fair game for savings. Baja Fresh, Pizza Hut, Dominos, Boston Market, Burger King, Ben & Jerry’s, and Auntie Anne’s are just a few of the places where Entertainment Book is accepted. That’s not even all of them. There are thousands of dining establishments where you can save money. Groceries: Every dollar that you are able to hold onto is a bonus during these tight economic times. Entertainment Book can be used at most local grocery stores and major retail grocery chains. These coupons may even be accepted at grocery stores that accept coupons from competitors. Home Furnishings: Dining room sets, tables, and chairs can all be purchased at a reduced price from participating retailers. Move Tickets: Would you like to spend less on movie tickets, popcorn, and candy? AMC, Regal Entertainment Group, and National Amusements all accept the Entertainment Book. This will give you lower ticket prices and discounted concessions at many major theater chains. Services: How would you like to cut your everyday expenses in half? Many services such as dry cleaning, salons, barber shops, spas, fitness centers, eye care centers, and tanning salons will let you use your Entertainment Book. Shopping: Use the book for online shopping from the convenience of your home. There are thousands of 2 for 1 rebates and 50% off discounts that can be used for online shopping. Travel: Wouldn’t it be great to save money on your summer vacation? Entertainment Book offers discounted pricing on hotels, lodging, rental cars, and airfare. Fundraising: Entertainment Publications offers fundraising opportunities for schools, churches, not for profits, and sports teams. Entertainment offers Entertainment Books, Sally Foster products, and gourmet cookie dough to help your organization raise cash. The Entertainment Book is an intriguing product with favorable ratings from the majority of previous customers who are usually repeat buyers. The book can easily pay for itself after a few uses and is worth trying out for the bargain hunter looking to save a few bucks. Have you used the Entertainment Book before? How much money did you save over the course of the year?